T.J. Lane, who was serving three life sentences for a notorious high school shooting spree, escaped from an Ohio prison but was later taken back into custody, authorities said. Lane, who is now 19, broke out of the Allen Correctional Facility Thursday along with two other prisoners, scaling the facility's main perimeter fence. One of the escapees, Lindsey Bruce, was soon captured, but it took authorities hours to track down Clifford Opperud, 45. Lane was taken into custody early Friday, captured about 100 yards outside of the facility's fence, warden Kevin Jones said. "Obviously I am not happy that this happened," Jones said at a press conference. "No warden in my position would be happy that this happened, but the facts are that I am happy that he is back in custody." Ohio State Patrol Captain Gary Allen said Lane didn't get further away because authorities quickly set a perimeter. Authorities are still investigating the escape. Lane shot and killed three students at Chardon High School on Feb. 27, 2012. He was sentenced to three life sentences. Three other students were wounded. In this Tuesday, March 19, 2013, photo, T.J. Lane unbuttons his shirt during sentencing in Chardon, Ohio. Ohio police said Thursday, Sept. 11, 2014, that Lane, 19, the convicted killer of three students at a high school cafeteria, escaped from prison. 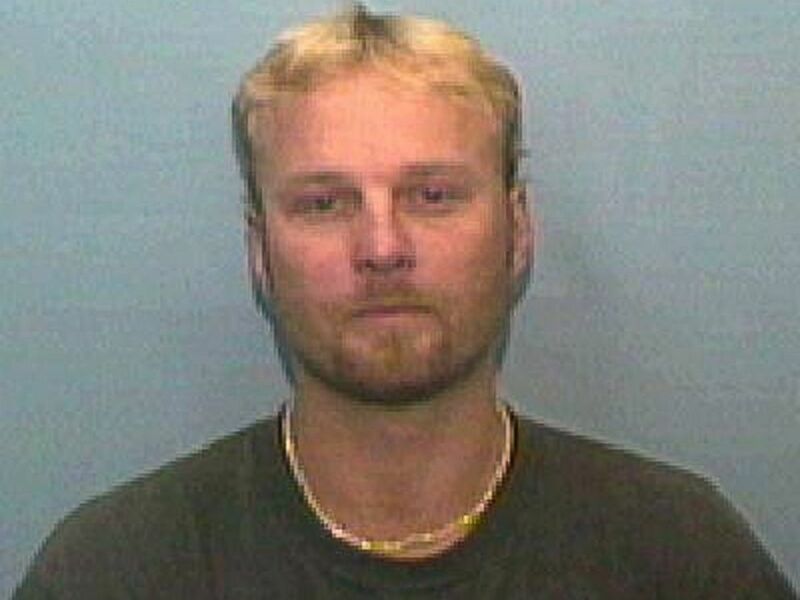 Lane's escape set off alarms in Chardon, Ohio, which is three hours by cars from the prison. The Chardon school district closed its schools on Friday because "the safety and well-being of our students, staff and community remain our highest priority." Timothy Hewlin, the father of Demetrius Hewlin who was killed by Lane, was outraged by the escape. "This cannot be happening. This guy killed my son and killed three kids. What type of system are they running here?" he demanded. This undated photo made available by the Lima Police Department shows Clifford E. Opperud, who escaped from custody, Sept. 11, 2014. Lane's court appearances were marked by crude and shocking behavior. 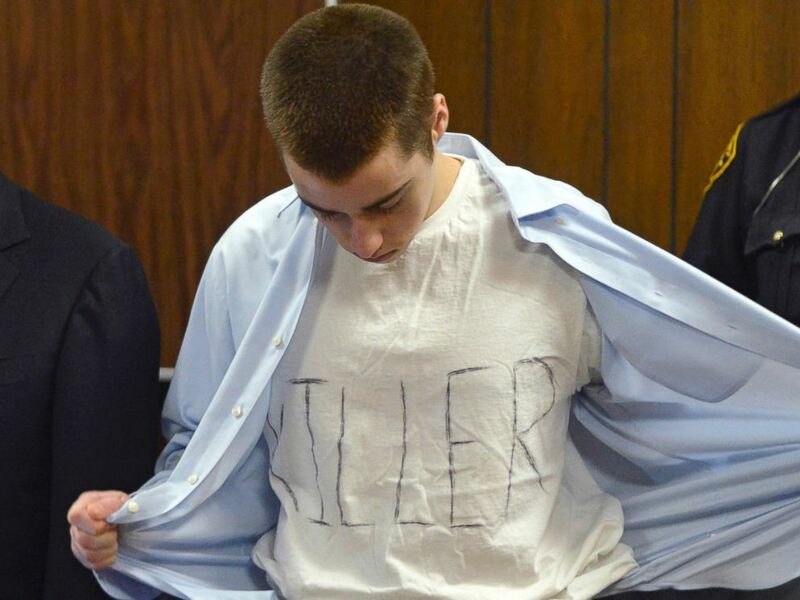 At his sentencing hearing Lane stunned the victims' families and his own lawyer when he unbuttoned his shirt to reveal a T-shirt with the word "killer" scrawled across the front. He spewed vile and unprintable words at the families of three students he killed, gave them the finger and then laughed and smiled as they described him as an animal and a monster. Lane chuckled when the judge sentenced him to three life terms in prison with no chance for parole. 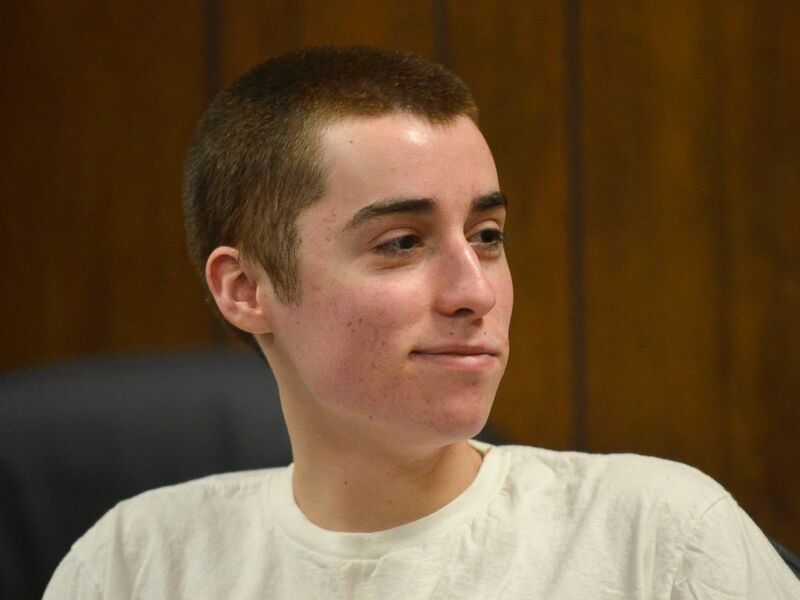 T.J. Lane smirks as he listens to the judge during his sentencing in Chardon, Ohio, March 19, 2013. Lane was waiting for a bus to an alternative school when he killed three students at Chardon High School. Daniel Parmertor, 16, Demetrius Hewlin, 16, and Russell King Jr., 17, died in the attack. King had been dating Lane's former girlfriend, students told ABC News at the time. Ian Friedman was Lane's lawyer and said he had spent hundreds of hours with him. "T.J. Lane is exceptionally smart there is no doubt about that. If anyone could escape it would have to be someone of that level of intelligence,” Friedman told ABC News. “People ask me if he is dangerous. The facts speak for themselves,” he said.